We recently built a brand new home in the Burnside area. Where we live, there isn't any issue with frost or freezing weather. We do however have issue with strong winds during winter. My house is North facing so our garden gets 5-6 hours of sunlight in autumn and winter and 8+ hours during spring and summer. We don't have much in term of land so every inch of garden is ultised. We divided the garden up so that half is used as a place to relax with a fern garden and the other half is used to grow fruits and vegetables. I have always love the idea of growing and seeing something florish. When I was 13 years old I was obsessed with growing orchids, my collection was enormous! I joined clubs and went to shows. Now that I am older, I am obsessed with growing edible plants. 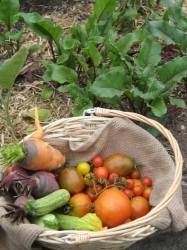 I love cooking and the idea of being able to harvest food from my backyard. I only wish we had more land. Comments: - I do a lot of cooking and always hated the fact that I had to fork out $5 to buy 5 kaffir leaves in the supermarket. One day I walked into a nusery and saw a 1.2 meter Kaffir tree for $20...that was the beginning of a beautiful relationship. :) The smells of those fresh Kaffir leaves are incredible! Nothing like that of the store bought ones. Now I look back and can't believe I ever purchased Kaffir leaves when they can be grown so easily in the backyard. 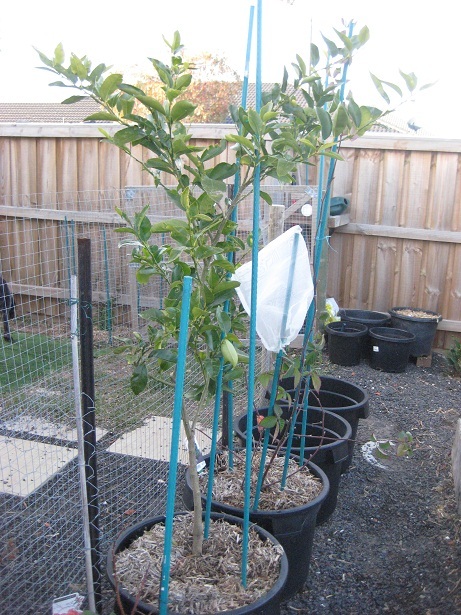 2012: I noticed some of the leaves going yellow, I watered the trees with some iron chelate a couple of months ago and the leaves have recovered. I also gave the trees some trace mineral, potash and slow release fertilisers. I bought this because it was thornless and non-invasive. The first year saw the 1 foot plant grew to 1.2 meters in heights. It gave a couple of cluster of blackberries. The fruit wasn't as sweet as I hoped it to be (could be because I picked it too early-just want to beat the birds to it first). I planted it in a 55L plastic pot with lots of manure and mulching. I have to stake the vines as they tend to sent their arms outward instead of upward. True to their name, there was no thorn. They didn't seem to be affected by Melbourne winter or hot summer. Hopefully I get a better crop this year now that the plant is more established. Update (after winter): Lots of new buds from the leaf axils. I gave it a good watering of Potash and sheep manure. Pest Control: None so far. They are too busy attacking my tomatoes or lettuce. I purchased a full size Tahitain before realising there were dwarf varieties available. I wanted to plant them in pots so I purchased this one. This tree is now in 50L plastic pot and doing well, not as good as the ones in the ground but is growing strong. So far, the tree has not given me any fruit. Just strong leaves and branch growth. It is a relativly small tree so it won't be a while before I see some fruit. I think the strong wind we experienced last year destroyed all the flowers on the tree and stripe some of the leaves off the branch. This year's winter has been great, no strong wind and a couple of warm days. Update (after winter): Lots of flower buds and new leaves. I gave the plants some more sheep manure and citrus fertilise with a good watering of iron Chelate. I also put some rusting nails into the soil to give the plants a constant but slow supply of irons for green leaves. 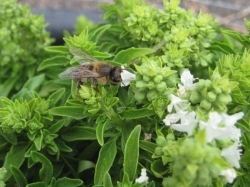 Pest Control: I had to spray pestoil because my plants were attacked by leaf miners! I tried to kill as many by hand as possible but it's hard when I have so many citrus plants to look after. Ok I so I saw this docomentry on Native Australian Fruits. I saw what they used the fruits for and just had to have a go at growing these. I was told a couple of years ago that they won't grow in the south as it get so cold down here. 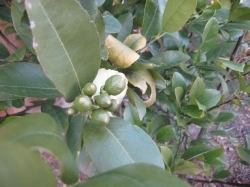 Recently however, I saw some grafted finger limes tree and did some research on them. Turns out, the grafted varieties may be able to survive the cold so I went a head with the purchase. 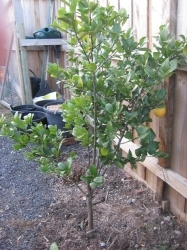 These trees can get quiet large and can give you up to 20kgs of limes if given the space and right conditions. I just hope to get a kilogram or 2 a year :) and to be honest, we don't have the space for a 5m tree or they will be kept in pots. I planted mine with the same potting mix I used on my other limes and lemones. It's been 3 months cold wintery months and they seem to be doing fine! No leaf loss, no yellowing, no dying branches. Finger cross they will contine to grow and even grive me fruits! Pest Control: So far, nothing has tried to attack it. 2012 Winter: I bought this variety after reading on this forum that they are quiet tasty compare to the others. 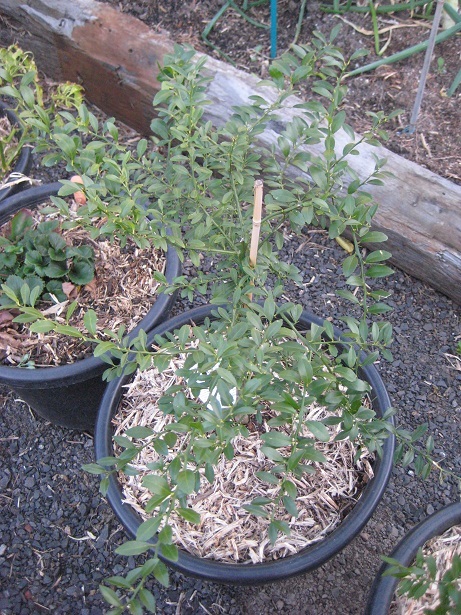 I bought 2 strong cuttings and put them in 40L pots wth sheep manure, slow release fertiisers and lots of pea straw to stop moisture loss. I love that this raspberry variety is completely throne free! It will be great when time comes to harvest. Will update later on in the year if I have any success with growing these guys. Pest Control: Hopefully no pest issue. My partner bought me this fig tree. It gave us 5 fruits in its first year but I had to remove it to relief any stress caused during transplant. It lost all its leaves during winter but is showing sign of new growth now that spring is close. We put it in the ground and will be planning on pruning it to give a compact easy to manage tree as space is a limiting factor in our garden. Other than the dog, it doesn't seem to have issues with pest. We give it plenty of manure and have grown it directly in the space where our compost bin used to be, hopefully the soil around the area received plenty of nutrients of the bin in previous years. Update after winter: Lots of fruit like buds and leaves. Comments: - 2011:I bought one plant last year. It gave me quiet a few large super sweet fruits. It has since multipled by runners and now I have 4 plants all with lots of -flowers and some with green un-ripe fruits. I feed them manure and fertiliser and mulch them well. I don't always water them but they don't seem to mind. I have some in pots and some in the vegie patch. The ones in the ground are regularly attacked by snails. These has snail baits around them, the ones in pots don't seem to have the same problems. 2012: I decided that I am going to grow these guys in pots instead. I don't have much space in my vegie patch so I don't want any permanent plants taking over the little space I have. Also I reckon it will make it easier to get the plants off the ground and away from snails and slugs. Pest Control: Snail Baits are used to stop snail attack. I also bag some of the larger strawberries to stop birds from getting to them once they ripen. I bought this Heritage variety last year. I never liked the store bought raspberries. My sister-in law suggested growing my own as the berries you get fresh are quiet sweet tasting. I tried it and absolutely loved it. I got around 2 punnets from one plant in the first year of growing. The plant is quiet easy to grow and fruit. They are so easy to multiple! I grow mine in pots and noticed this that the roots have grown through the holes at the bttom of the pots and have sprouted new suckers into the ground. The ground around it is muddy and full of gravels, only weeds ever tried to grow there...These raspberries are a welcoming surprise. I did not find pest to be an issue with raspberries. One issue I had was with strong wind tearing up the leaves. Luckly this winter, strong wind wasn't a problem. The other thing that was an issue was the hot summer. Raspberries tend to not like hot weather and I had to remember to water the plants more often during this season. These little herbs are also known as the 'saw tooth coriander', they smell like coriander and taste more intense then coriander. 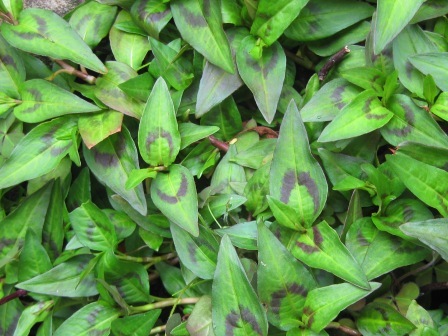 However, they do not seed quickly like coriander and is a perennial so don't die back. I highly recommend this variety to coriander lovers. I do stress that by trial and errors I discovered that these herbs grow best in shades and will wilt and die in full sun. 2011: It is perfect to put into sauces. It has a lovely scent and the plant is hardy. Update: I notice that my plant is very slow to grow. It only grown a couple of centimeters since last year. It is still a strong plant with no pest attacking it. 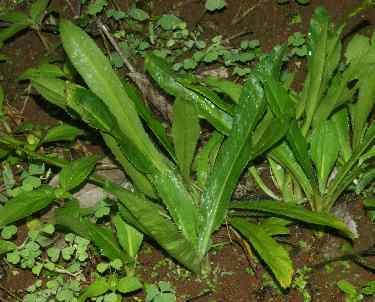 2012: I read up on this plant, apparently they grow slow naturally. I better stop picking so many leaves off this plant. 2011: My mum purchased this lemon 'lemonade' variety a very long time ago. The flavors of this particular variety is amazing! It is not sour like the other variety but rather sweet. I love it so much that I took a cutting from my mum's mature tree 8 years ago. My 15cm cutting is now 1.5 high, currently it has 5 large fruits and hundreds of flowers. For a long while, we neglected it. We didn't water it, didn't feed it and yet it contines to flower and fruit for us. It is truely a hardy lemon tree with spectacular tasting fruit. I love it and recommend everyone to suss one out. 2012: This year, the plant went crazy and every single branch is covered in tiny marble sized fruits! 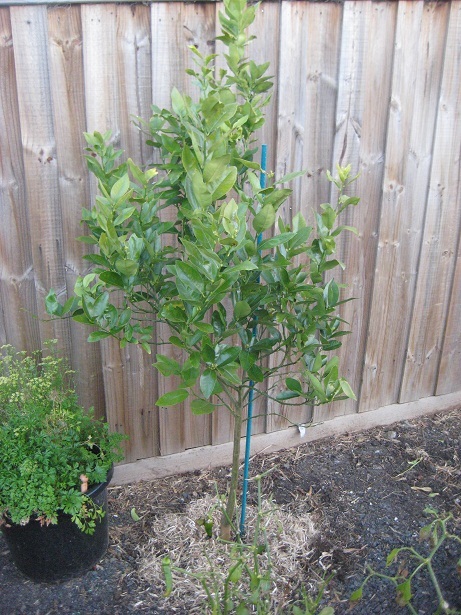 I gave the tree a watering of Iron Chelate in the begining of every new season and just recently feed it some citrus fertiliser. Comments: - 2011: I love this variety because it is an ever-green and suited to pot growing. 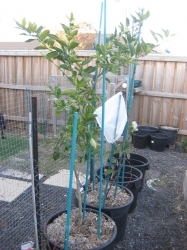 It gives loads of fruits and is so easy to grow in Melbourne climates. I purchased a few small plants this year and had some potted up and some in the ground. So far they are all doing great. I have removed the flowers off all of the plants as they show up except for one plant. 2012: The plants has doubled in size and produced loads of flowers! I checked the flower buds today, almost all the flowers has been germinated so finger cross I will get a bumper of a crop this year. Pest Control: Just have to keep the birds away once the fruits turn blue. I grow mine from seeds. Super easy! 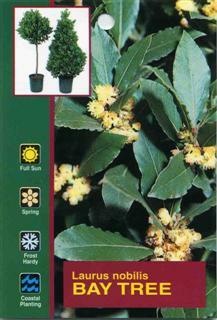 Just pop some into a pot in late winter and place the pots somewhere warm. Keep it moist and well fed. When the weather warms up a little, plant them into the garden and watch them grow. Or just scattered the seeds directly into the garden during spring. They are so easy to look after. I never need to water them even during the hottest days of the year. I don't fertilise them, they seem to be happy with whatever is in the soil. I grow them next to my tomatoes, they work well together. The basils never seem to have issues with pest or disease. I also grow Thai Basils, Cinnamon Basils, Lemon Basils, Lime Basils, Licorice Basils, Greek Basils, Opal Basils and Purple Basils. Other than the Thai Basils, all the others are super easy to germinate from seeds. I find the Thai Basils require a bit more heat to germinate. I saw this variety at the nursery last year. I purchased 2 small plants. This variety is a relatively fast grower. Gave me heaps of flowers last year but I had to remove all the flowers because of transplanting. I grow them in the same acidic soil mix of peat, potting mix, manure and pine bark as I used on the other acid loving plants in my garden. I have also added an addition of sulphur to the mix to make sure it stays aciddic. I have tested the soil since, and it is still good. 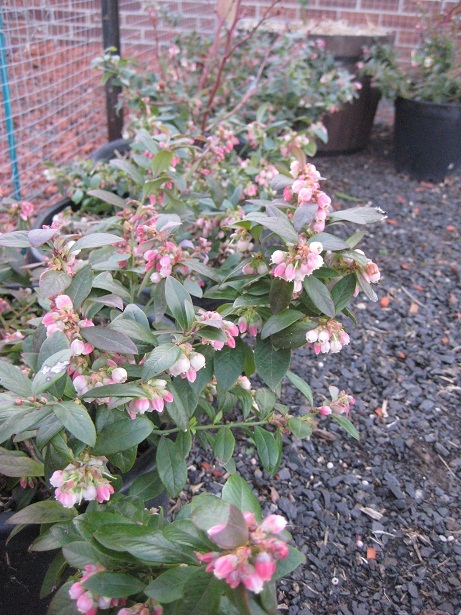 I am seeing a lot of new flower buds emerging from the plants this year. 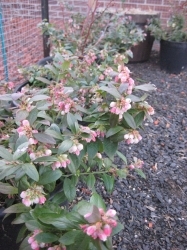 This is an early fruiter, it's an old Japanese variety. 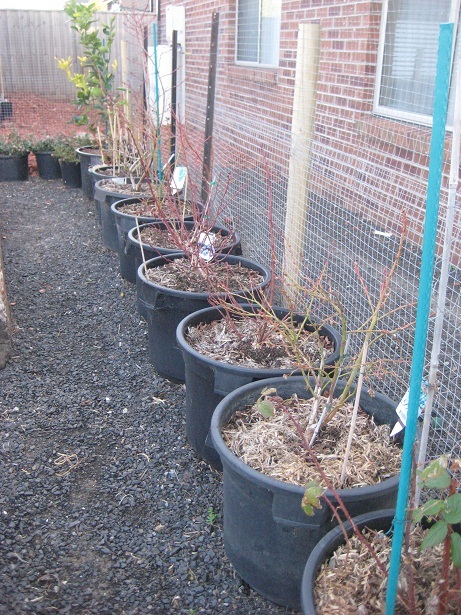 I have it potted up in plastic containers with manure and slow release fertiliser. They don't seem to be bothered by pest or fungal infection. The strawberries are tiny but are super sweet. 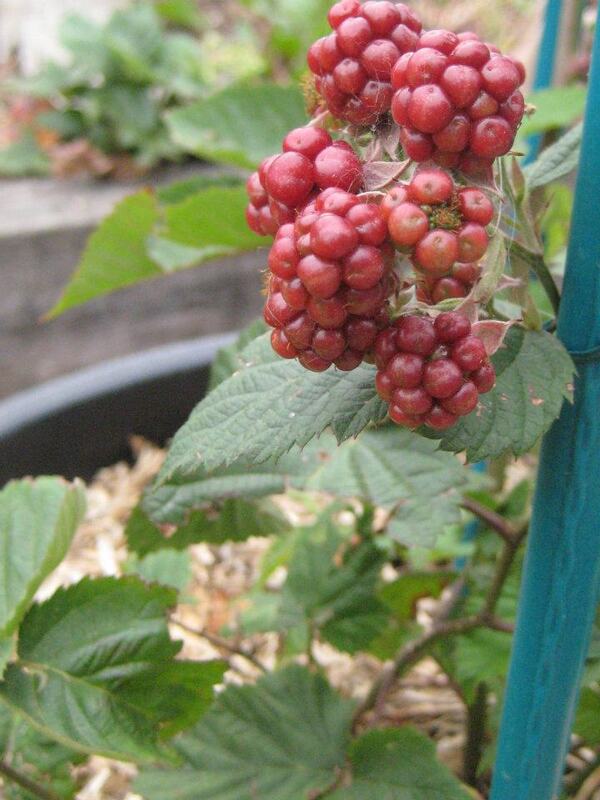 I negelected the plant last year and it still gave me heaps of berries and runners. I have since re-potted the brush and it's looking a lot more healthier. 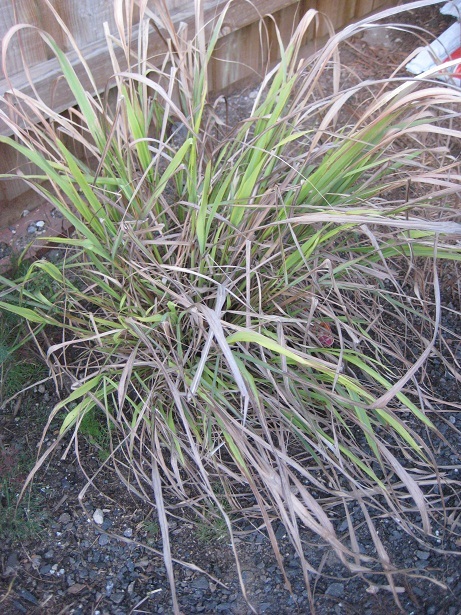 My mother had 3 huge clumps of these lemon grass so I divided one and took a clump to my new place. They are currently going in the ground, I am not too sure how well they do in the new location but finger cross. They produce a lovely smell when you brush up against them and I love using them in soups and grill dishes. Update: I saw a small punnet of these seedlings for sale a year ago. I put them in my garden and now they are a meter tall with about 30-40 stalks in the bush. 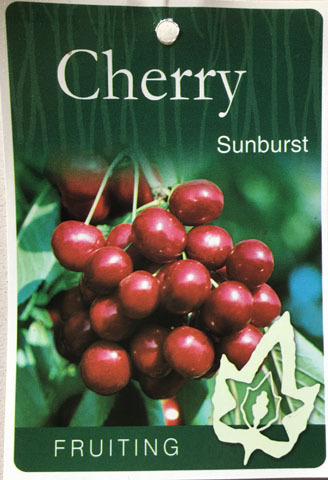 I love this variety because it is heavy bearer with very sweet tasting berries. 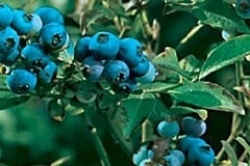 The berries also have long shelf life and can be frozen without losing their shapes. By far, I reckon this is my favourite variety of blueberry. 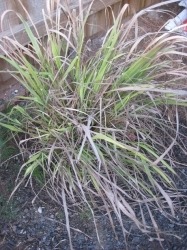 I have one large mature plant over 1.2 meter high growing in a pot and 5 one-footers also growing in pots. So far they are growing without a fuss. I use a mixture of peat coir, pine bark and garden soil as potting mix. I also add a slow release fertiliser to the mix. I just love blueberries, the Blue Rose was recommended to me by a friend. I have one that is 40cm high and is currently propagating 12 plants from cuttings taken from my friend's mature plant. They are great fruiters and the flavors are sweet. I have mine in 50cm pot right now and it is doing well. I use peat coir, pine mulch and garden soil as potting mix with extra pea mulch on top. Pest Control: Just birds. I have my fruits conceal in mesh bags once the berries burn blue. I have a selection of tomato seeds that I germinate every year. I love the heirloom varieties. One of my favourite is a German variety, it can grow up to 2 meters high, have lots of clusters of 30-40 grape like tomatoes. They fruit right through to winter. Then there are Mortage Lifters, Hill Billies, Tommy toes, Sweet F1, Roma, Beefsteak, Calabash, Brandywine, Mr Stripey, Yellow and White pear, Tiny Tim, Red Robin...I have decided that Roma and Sweet F1 are some of the tomatoe I am growing this year. 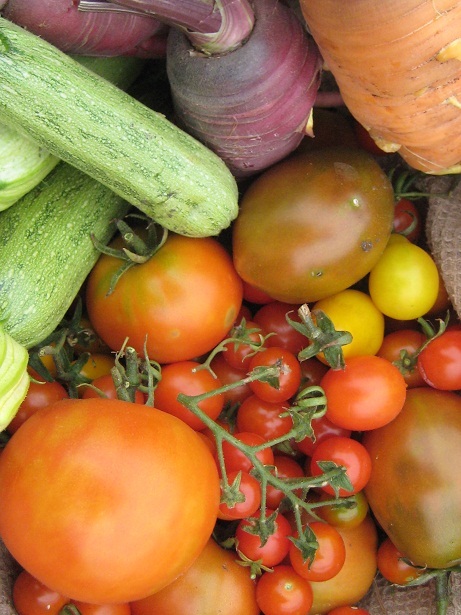 Until you have tasted a home grown tomatoe, you don't know what you are missing out on! Try it! They don't require much care, just throw them some manure and water and watch them grow. Comments: - I purchased this variety without releasing it. I thought it was one of the other blueberry varieties I grow at home. I was told by my obsessed Blueberry-lover friend that this variety bares very large fruit with excellent flavours but unfortuantely they don't have a long shelf life and must be eaten within a day. So far it is doing great in a 50cm pot. 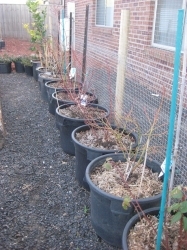 Comments: - We got this 2 meters tree for a bargin at this little nusery up North of Melbourne. The tree was so quick to establish in our garden. Even with the horrible wind and constant attacks by cherry slugs last year, this tree managed to give us over 20 fruits in the first year! Unfortunately, either the birds or our neighbours took the fruits (most likely some kid as it disappeared while I was at work). Luckily I was able to taste the fruits before they disappeared. Excellent sweet firm fruits. Pest Control: Pest oil to control those cherry slugs. I try to remove any slug that survive the spraying by hand. I saw this one avaliable for sale in Bunning. It was a resonable price for a quiet a large tree. 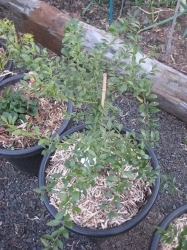 I planted it in a 50L plastic pot with lots of manure, fertiliser and mulch. It was doing well but was disrupted by strong wind last winter. The flowers were striped from the tree and so no fruits. 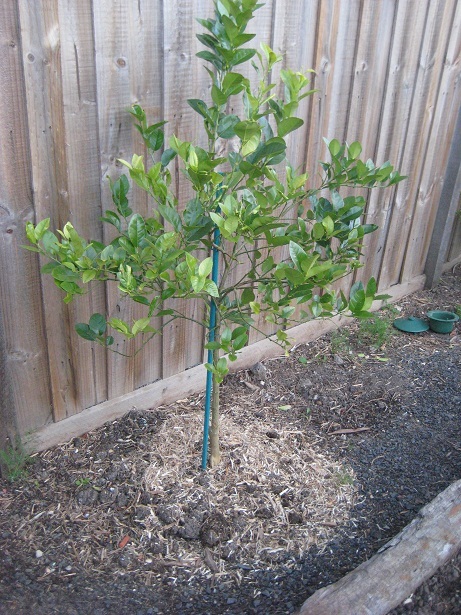 The tree shows strong growth and isn't affected by the cold Melbourne winter at all. They don't seem to mind growing in pots either. I had to stake mine because of the wind. Other than the wind destroying some of the leaves, this tree wasn't affected by any pest. Pest Control: So far, I haven't had any issue with pest insect attacking my Tahitian compare to the other varities I have in the garden. I purchased a green variety finger lime and just had to get the red when I saw it for sale. They look so pretty and would be a great asset to my kitchen. Just imagine those bright red individual pulp in a drink or on a Thai dish! 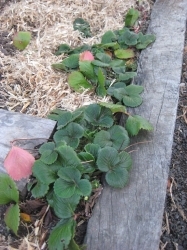 So far they withstand the worse of the cold winter of Melbourne and don't seem to mind the wind or slight frost. 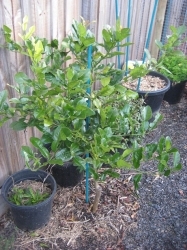 I used the same potting mix I used on all my limes and lemons trees. I gave it heaps of pea straw mulch as well. I am really looking forward to receiving some fruit from this plant. Pest Control: Nothing seem to want to attack these prickly trees. This was an impulse purchase. I saw them for sale at the nursery in clear plastic bag. They were only small cuttings but they looked strong and had heaps of buds and new suckers. I don't have a clue what these sort of berries these guys will produce but I bought it anyway. Luckily, after some further research, it turns out this variety are good growers that will give lots of sweet berries. 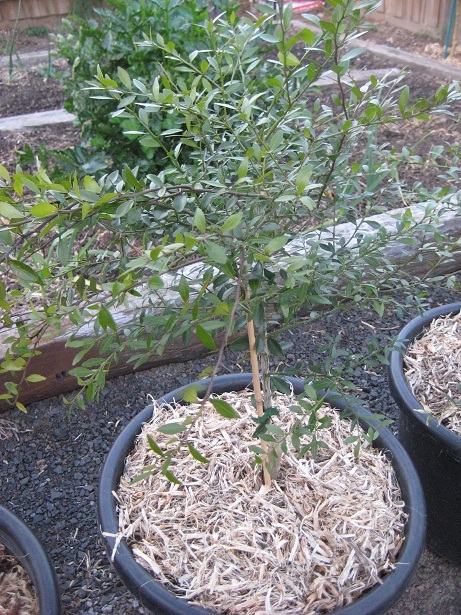 I planted mine in 40L pots with lots of sheep manure and mulch. Finger cross they will do well in my gargen! 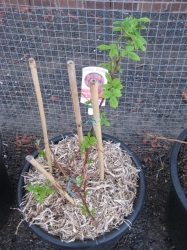 Pest Control: I didn't have any issue with my Hertiage Raspberries, I don't think there will be too many issue with pest with this variety either. I was going through a 'lime phase' and saw this little beauty at the nursery. I didn't know what this variety is but from the description, it seem to be ok for Melbourne weather. I put this tree into the ground next to my backyard fence. So far it has grown another half a feet and has given me heaps of flowers but only 1 fruit. This isn't a surprise as it is only the first year in the ground. I dug quiet a large hole and placed lots of manure and compost/potting mix in the hole. 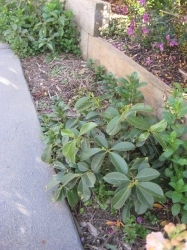 The plant was slightly mounted and I placed lots of mulching around the plant (making sure none actually touches the trunk).I have sprinkled trace mineral around the drip lines and watered it with iron chelate twice in the last 1 year. The plant seem to be happy with this and isn't affected by the hot summer or cold winter. Pest Control: Pest oil was used to control leaf miners. I picked off any catapillers by hand. I was given this tree by my sister in-law, unfortuantely it is quiet small so I don't think we will get any fruits for a while. 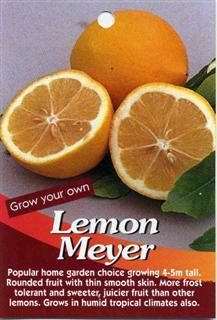 I had this lemon before and absolutely love the flavor. Update: I noticed this tree losing a lot of its green colouring this year. I think it was a combination of losing all its leaves last year and a lack of fertiliser. I spinkled some trace minerals and watered the plant with some iron chelate. The leaves are getting some green colouring back but still has a long way to go before it looks fully healthy again. Comments: - We have a small strip of dirt on the side of our driveway. Instead of growing flowers or oriental plants, I decided that we would put something edible in it. 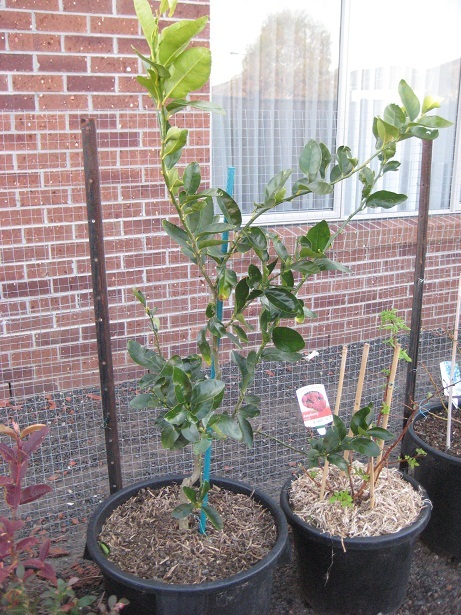 I planted a row of 4 Guava plants last year. I didn't really give the plants much attention. Just planted them in some mushroom compost mixed into the soil with some slow release fertiliser. I didn't water them, I left them to their own devices. They seem to be doing fine without any extra attention. I noticed last week that they have new flower buds so finger cross we will get a couple of fruits this year. Pest Control: Nothing seem to want to attacke these guys. However I did have to use copper spray once when I noticed a couple of leaves curling. 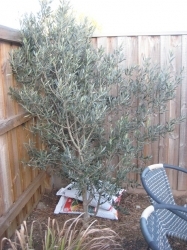 My mum went and impulsively purchased this olive tree 3-4 years ago. She neglected it, didn't water it, left it in the pot for the entire time. When I moved a year ago, mum gave me the plant because she had nowhere to put it. I planted it in the ground in the corner of our property. 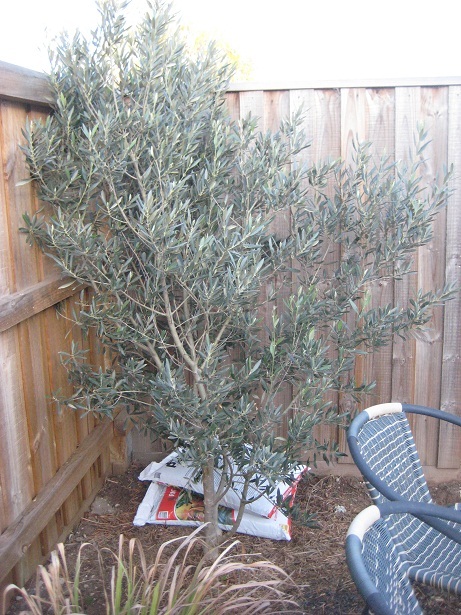 Even though it was neglected, the plant sprouted flowers for us within months of being planted and gave us at least a kilogram worth of dark large olives. We left it on the tree hoping to collect them after a few more weeks...don't know what happened but they all disappeared! Would anyone know if birds eat olives? Or should I be cautious of my neighbours? lol. Pest Control: Nothing attacks this tree, unless you want to count whoever ate them off my tree. So my mum bought this plant from a girlfriend who grow them. The friend takes cutting and nurse them to these 1.5m size plants. When I saw mum's plant, I made an offer for it! The fruit on this plant was larger than the size of my fist! The taste of these fruits are amazing. So sweet. I was told to use sheep manure every spring and powerfeed every second week during spring. The plant was already pruned for me so I didn't have to worry about it for another year. 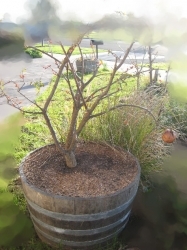 It is now re-planted in a big 50L half wine barrow with lots of mulch and compost. I am seeing new growth now that the harsh winter weather is over.